I ran into Kim Anderson at a local tackle shop the other day, we got talking and he asked me up for a fish on the scenic Copperlode Dam. With my boat in the shop for a much needed facelift, I jumped at the opportunity to get out on the water. Arriving at the lake, Kim has set the business up on a finger of land surrounded by Barra rich waters, a lovely setting to begin the day. Kim runs a guided fishing operation, and also hires kayaks and stand up paddle boards. As I loaded my gear into his boat, I saw the electric outboard, not your Minn Kota variety (although he one of those as well), but a fully fledged 25hp electric motor, perfectly suited to running around the lake where petrol driven motors are not allowed. The fish were a little reluctant to bite at first, we’d had a few flashes, but they were staying down. I’m used to fishing shallow, and Kim was at me to get my lure down, and it wasn’t long till that advice started paying off. 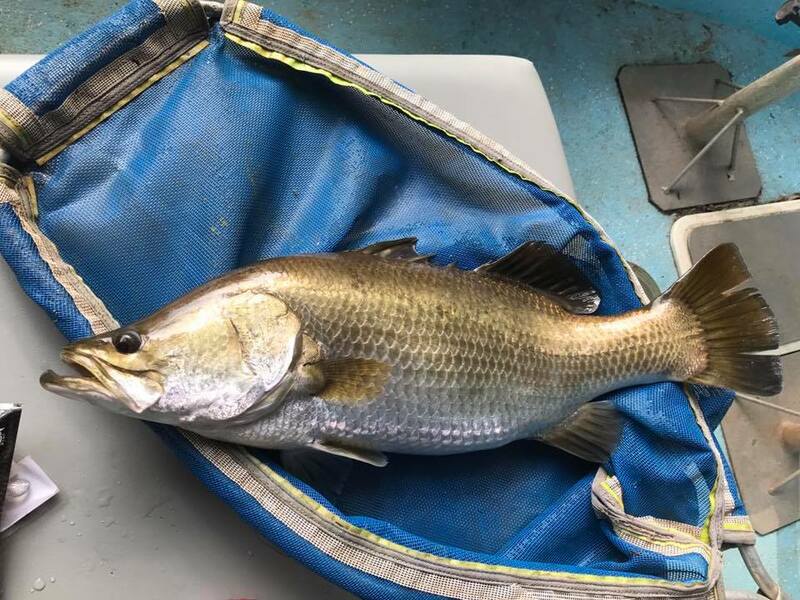 The Barra are all fit and healthy in this system, some to over a metre in length, they were introduced back in the early 2000’s. And Kim has stocked the dam with thousands more fingerlings since, when we’d catch a fish he was able to identify from which release they came. The lake is full of likely spots to find fish, from fallen timber along the waters edge, to acres and acres of weed beds, and of course Kim knows where the hop spots are. 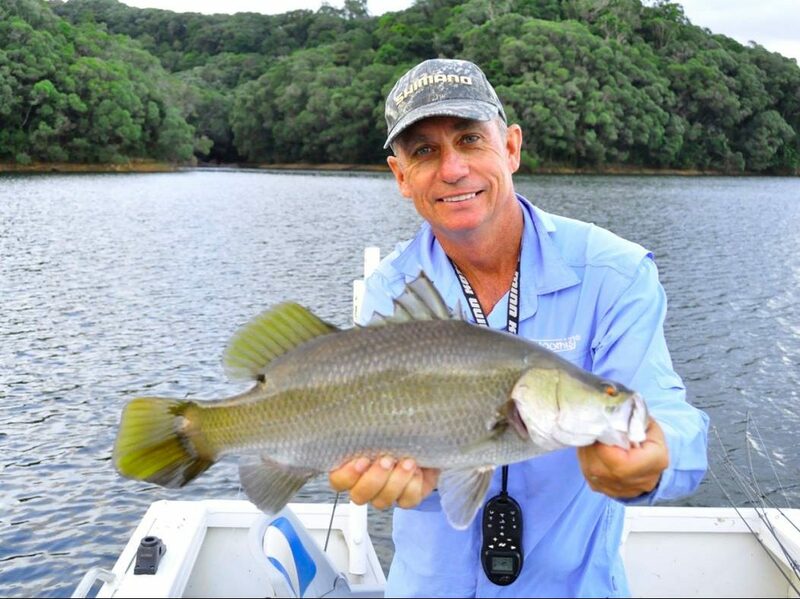 The lake is full of Barramundi, Sooty Grunter and Mangrove Jack, and you’re likely to catch an Archer Fish as well. 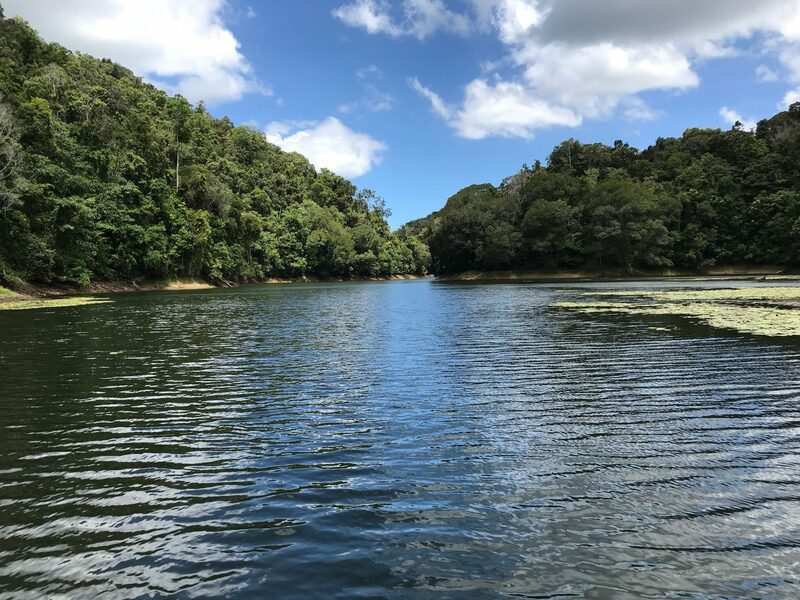 The setting is second to none, with unspoilt rainforest surrounding the lake, with Cassowaries and other birdlife seen regularly on the banks. The catch rate began to improve as we worked the weed beds and submerged timber, searching for that silver flash. There is any amount of prime ambush locations to target, and we were rewarded with some nice fish. Fishing a large sheltered arm of the lake out of the wind, the water not too deep and covered with weeds and Lilly pads. Kim put his cast out and was immediately rewarded with a flash of silver, then another, then another, there were two of them taking it in turns to flash past the lure, but bite they would not. 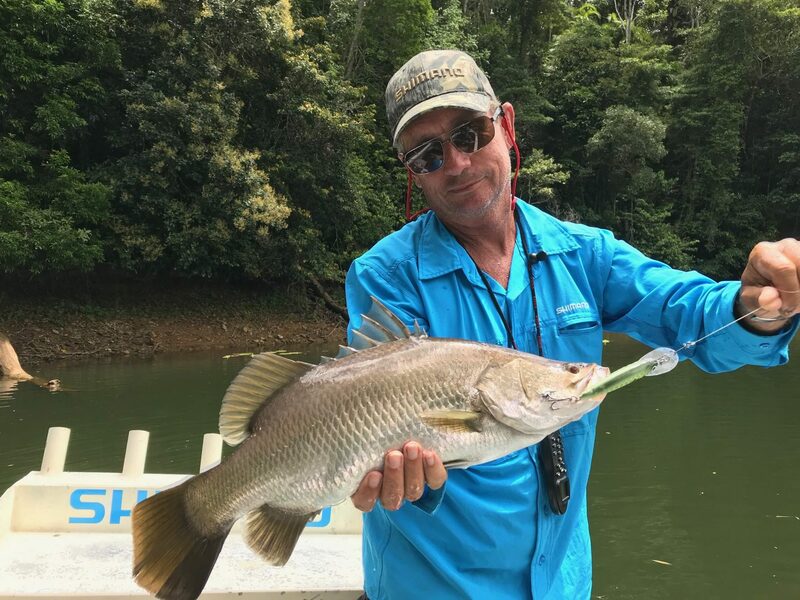 Resisting the urge to twitch again, one Barra continued to follow the lure to the surface, as Kim let the lure rise the fish continued to follow, its nose barely an inch from the lure. “Watch this” he said, the lure continued to rise floating upwards, as soon as the lure broke the surface, he gave it a twitch and BANG, it was on, great to watch. For those who don’t know, Copperlode Dam (Lake Morris) sits amongst the Whitfield Range up behind Cairns, it is the major water supply for Cairns. For the most part it was closed of to recreational use, no fishing, swimming or boating. 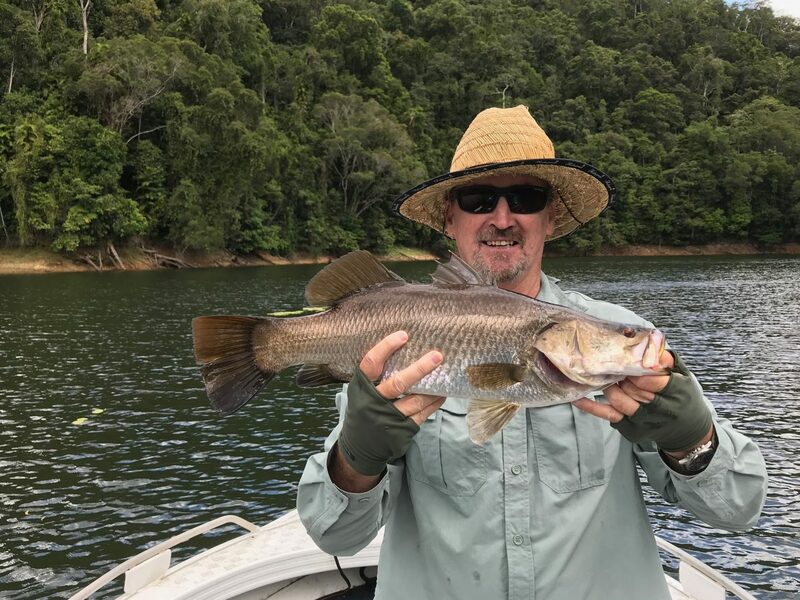 But Kim did a lot of work with the local council and obtained a permit to fish, launching his latest fishing venture “Copperlode Fish and Kayak”. The drive up the hill to the lake offers spectacular views across Cairns and the Coral Coast, allow some time to get to your destination, you’ll want to stop a couple of times to take in the view. And don’t be in a hurry, the road is narrow in places and you share it with a number of keen cyclists, slow down, wind the windows down and take in the magnificent tropical rainforest and enjoy the drive. We only spent about three or four hours on the water, and I for one can’t wait to go back again. 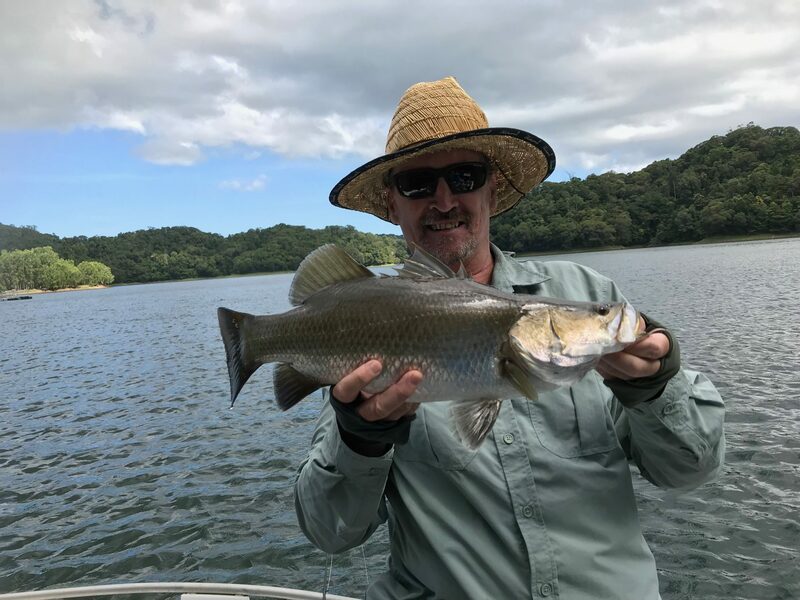 If you’d like to go fishing with Kim, give us a call at Fishing Cairns, ph 0448 563 586, and we’ll get you on that trip to remember. A great day on the water, in a magnificent part of the world.